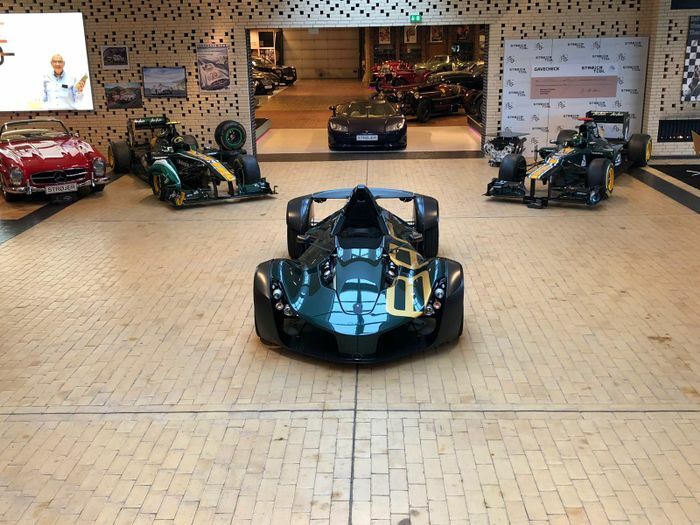 If you own a BAC Mono, you’re in a very exclusive club. It’s been in production since 2011, but being a hand-built machine from a small team of people, numbers were always going to be small - so far, only 100 have been made. The car you see here is the 100th. 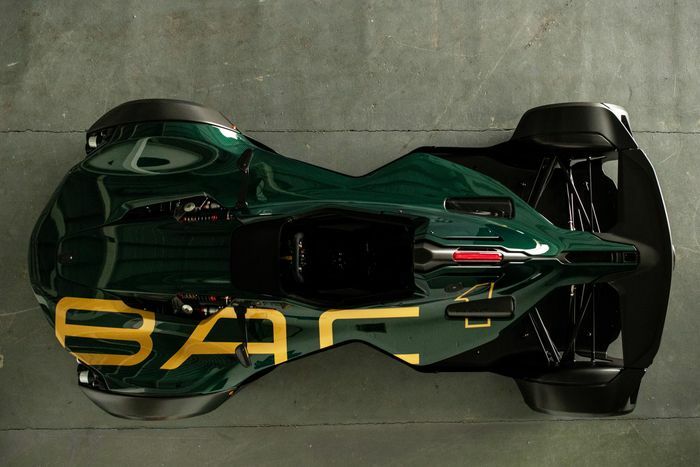 Neatly, it was delivered on the 10th anniversary - to the day - of BAC being registered as a company in the UK. The recipient was Strøjer Samlingen, a museum in Assens, Denmark housing a collection of over 120 cars. 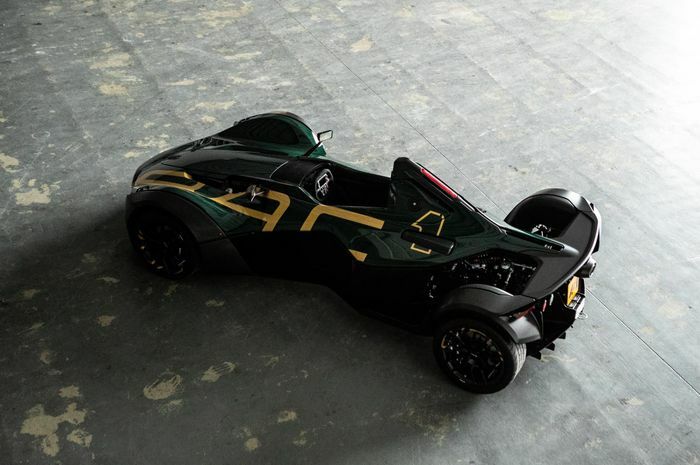 To ensure whoever’s ogling the car is aware of its significance, the Mono in question is fitted with a ‘Chassis 100’ gold plaque beneath the headrest. 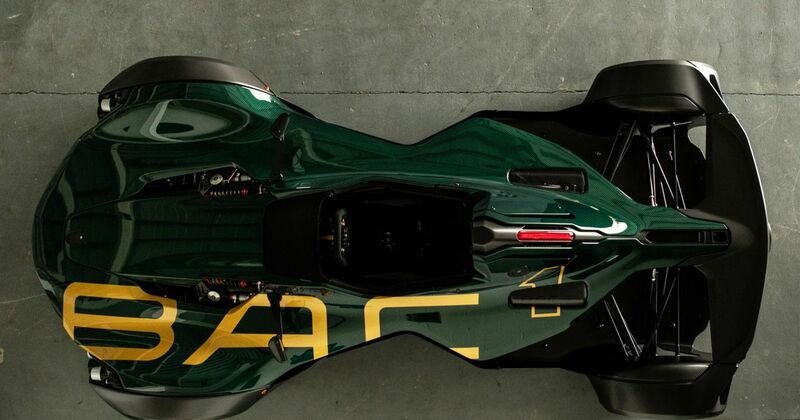 There’s BAC lettering in gold too, nicely contrasting the British Racing Green paintwork, which still leaves the carbon weave clearly visible. You’ll find gold detailing on the carbonfibre wheels also, and gold stitching in the compact cabin. Lovely. 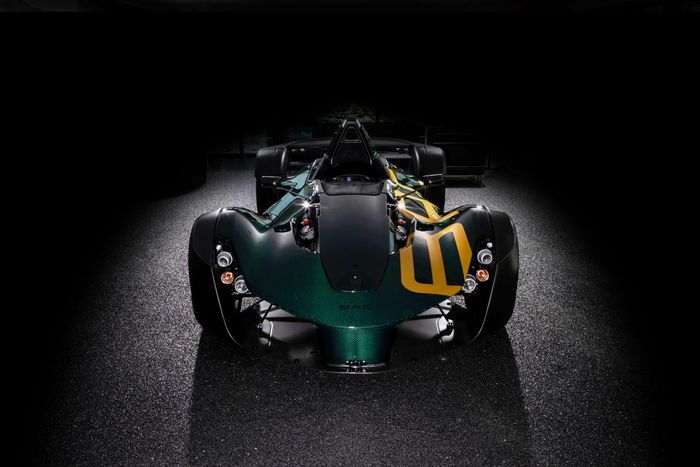 As if you need reminding, the Mono is so called because it only has one seat, which places the driver slap bang in the middle of the car. Earlier versions were powered by a 2.3-litre Cosworth inline-four cylinder turbo, later replaced with a 2.5 developing 305bhp. A healthy output in any car, let alone one that tips the scales at just 580kg. As a result of the pithy weight figure, 0-60mph takes just 2.7 seconds.